Hey guys! 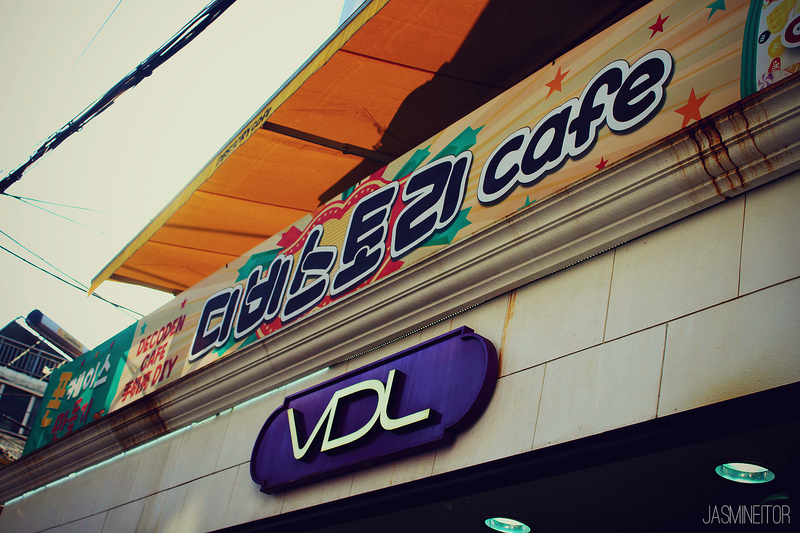 I will eventually run out of Korean cafe posts to do, but I still have a few left to share with you. 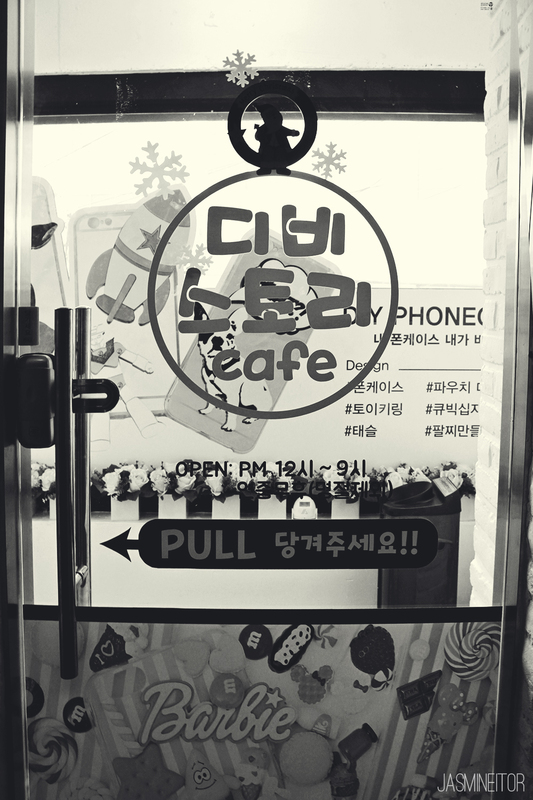 Today I will be talking about the DBStory Decoden Cafe in Hongdae. 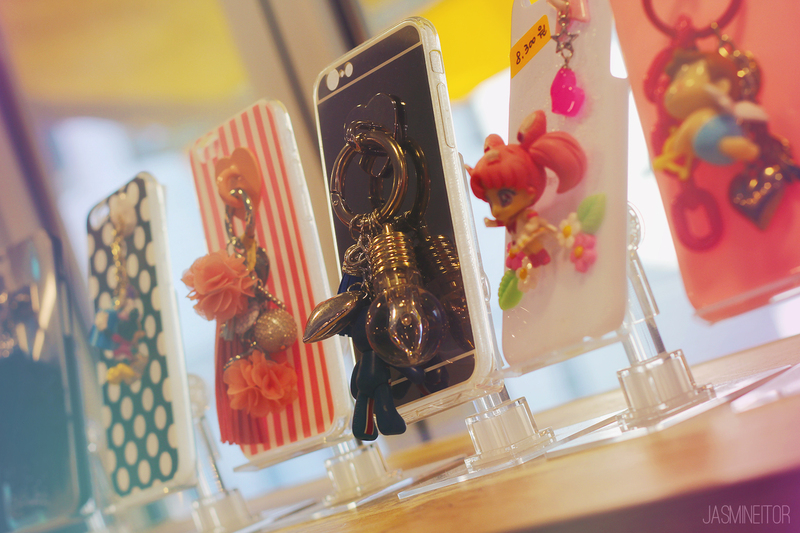 They offer a wide variety of things to decorate your cellphone cases, or anything else you bring. All you have to do is pay for the materials! DBStory is located on the second floor of a backstreet in Hongdae, near Exit 9 of the subway (I will include the detailed address at the bottom of this post). 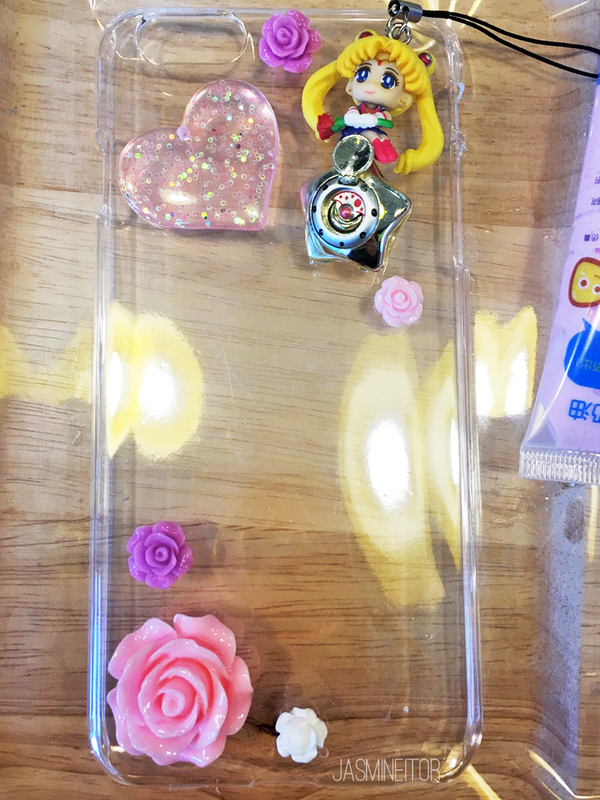 The store provides a variety of materials for you to decorate your own cellphone cases/compacts/pencil cases etc., as well as things to make your own bracelets and key chains, along with whatever else you can think of! 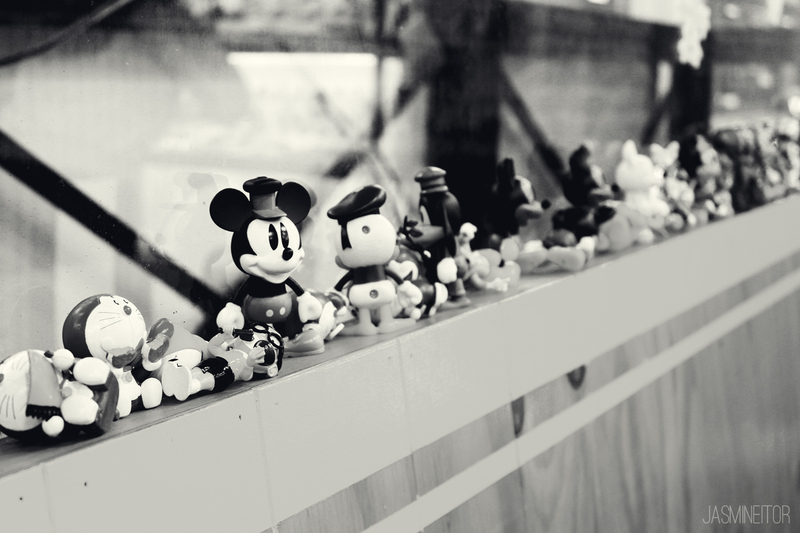 The cafe is quite small, but the walls are lined with all kinds of toys and examples of things you can make there. I believe some of these are available for purchase, but you can also use them for inspiration for your designs. It’s also not obligatory for you to purchase coffee, but I did it out of courtesy anyway. They have the standard coffees and teas that you can find at regular Korean cafes for a cheap price! Anything with a price listed on it is available for purchase. I wanted to make my own custom case, so I just looked at these for some ideas. On the wall are instructions on how to use the various decoration tools. 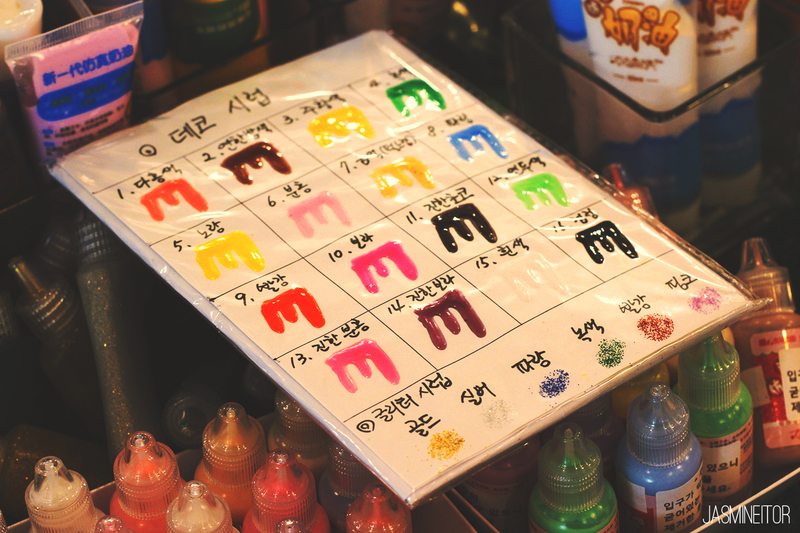 The cafe provides two types of glue for free, and instructs you on how to use everything if you ask! However I don’t remember any of the staff speaking English, so it might be beneficial for you to visit with someone who speaks Korean. 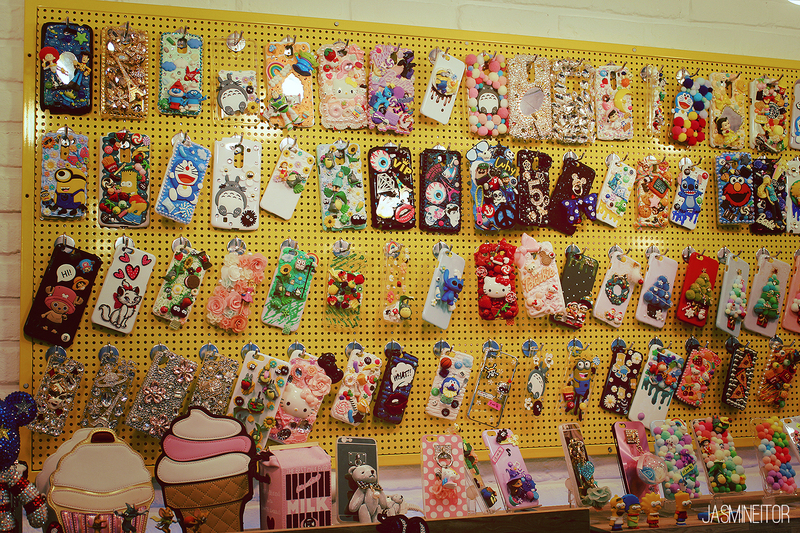 There’s a big wall covered in various blank phone cases for many different phone models. If you can’t find yours on this wall they have a smaller section on a rotating rack for the older/less common phone models. 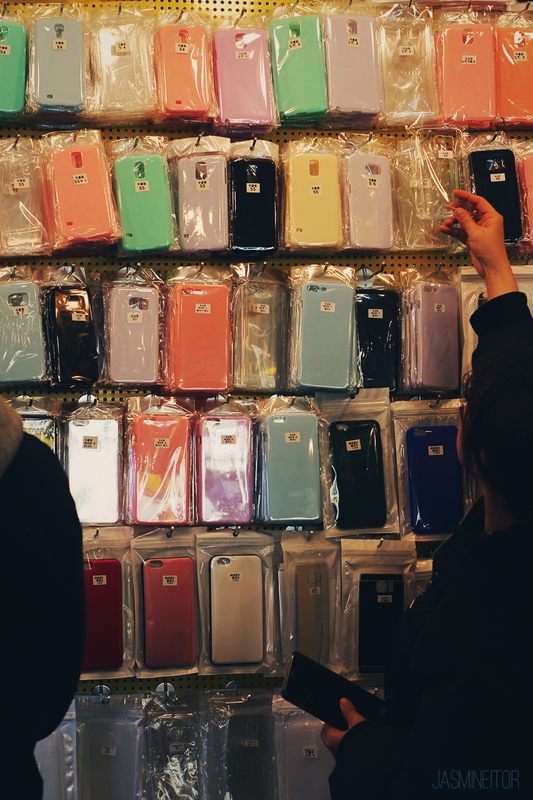 The more common phone models have cases that come in a wide range of colours and textures (jelly case/protective case/plastic case etc. ), so you can find something that suits you! 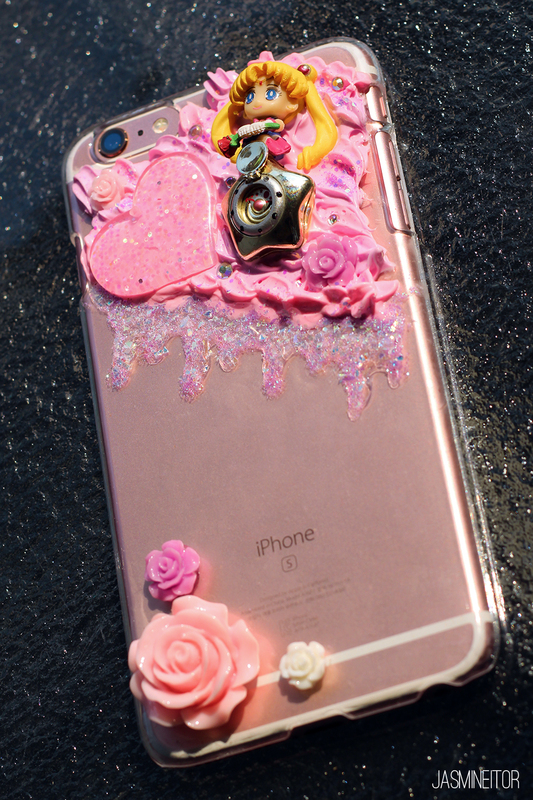 Next you pick out all the little things you want to stick on your phone! 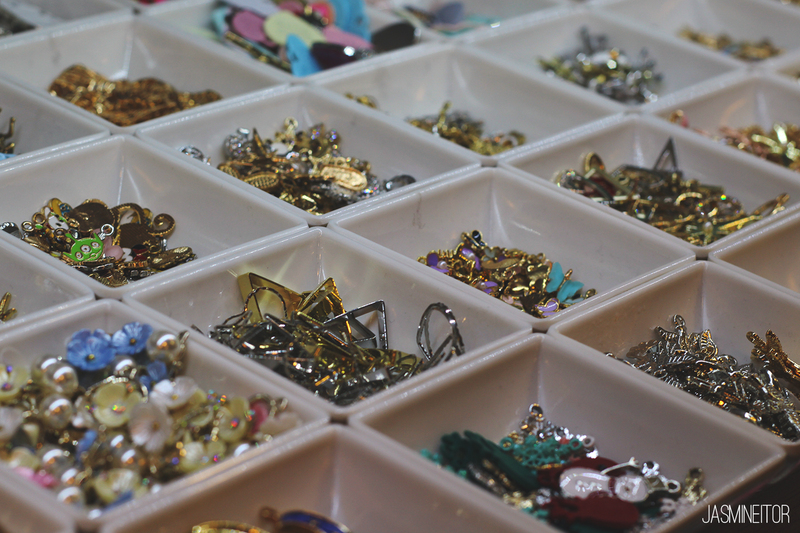 They have a very diverse selection of styles to suit everyone’s taste. 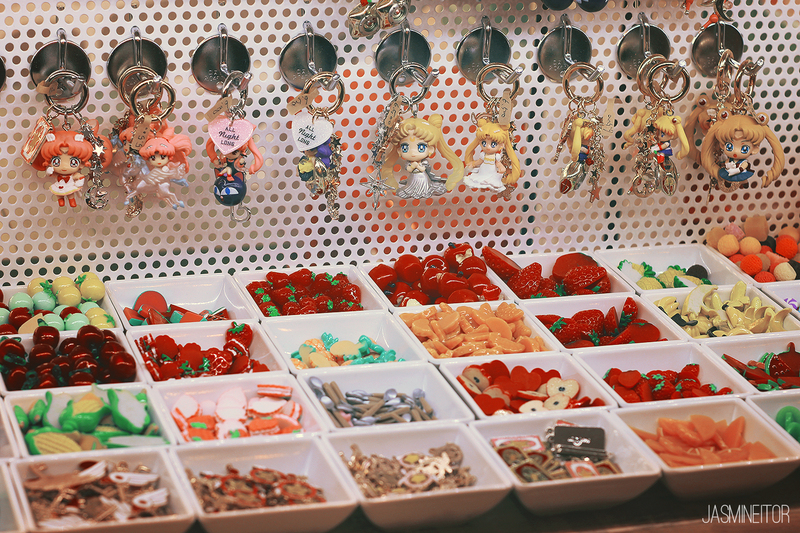 It took every fiber of my being not to buy all of the Sailor Moon and Cardcaptor Sakura charms 😭 . 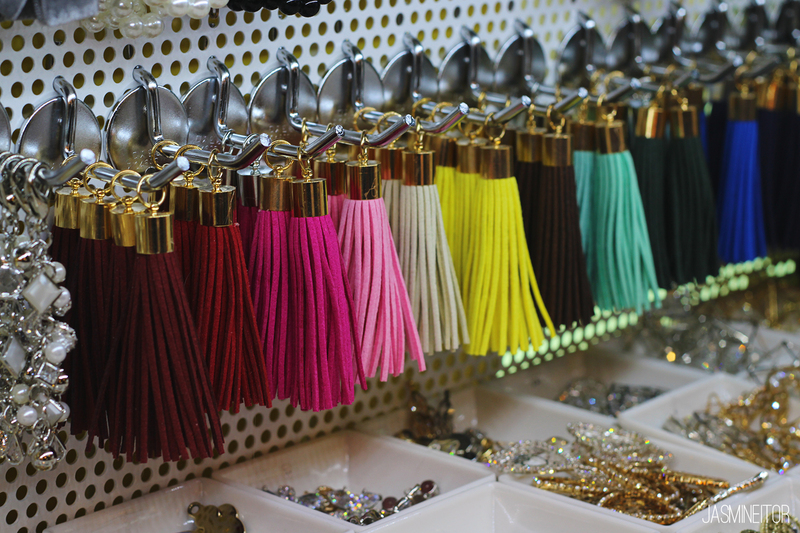 They also had a bunch of things to add to a key chain to hang on your phone case! 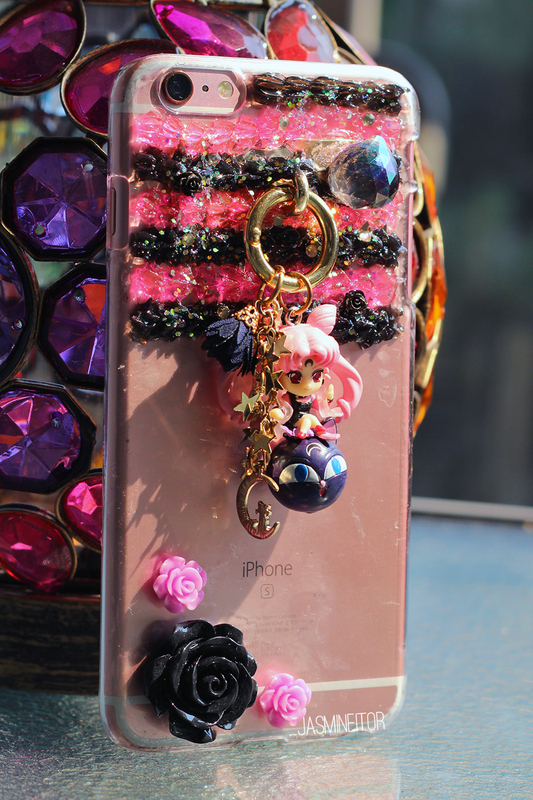 I ended up using this style for one of my cases, and my friend put together a puff-ball charm to hang off of her purse. There is a HUGE range of things there, so much that despite having gone twice I still feel like I haven’t seen it all, nor made enough styles of cases 😂. 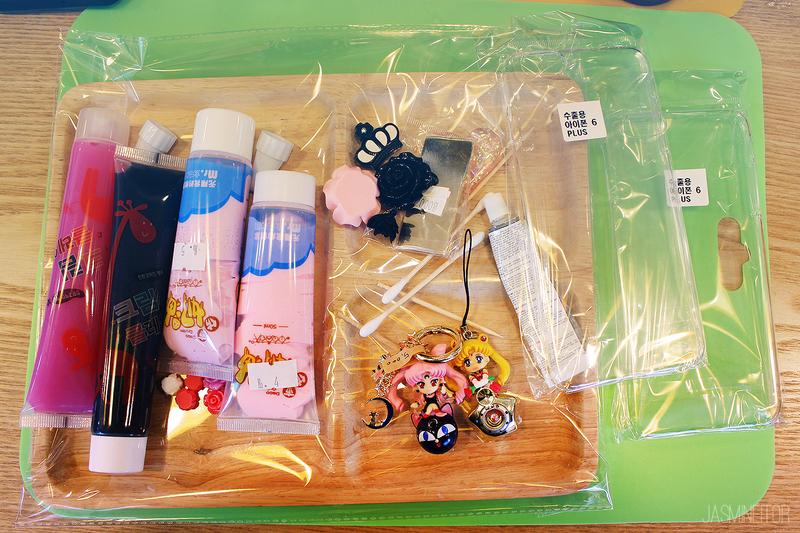 In true decoden fashion, they also carry different colours of silicone(?) to make whip! The fabric paint-looking bottles all dry transparent like the guide shows above. The jelly-like cream colours also dry transparent, and I find tend to shrink quite a bit once dry (as you’ll see in my case below), so keep that in mind! 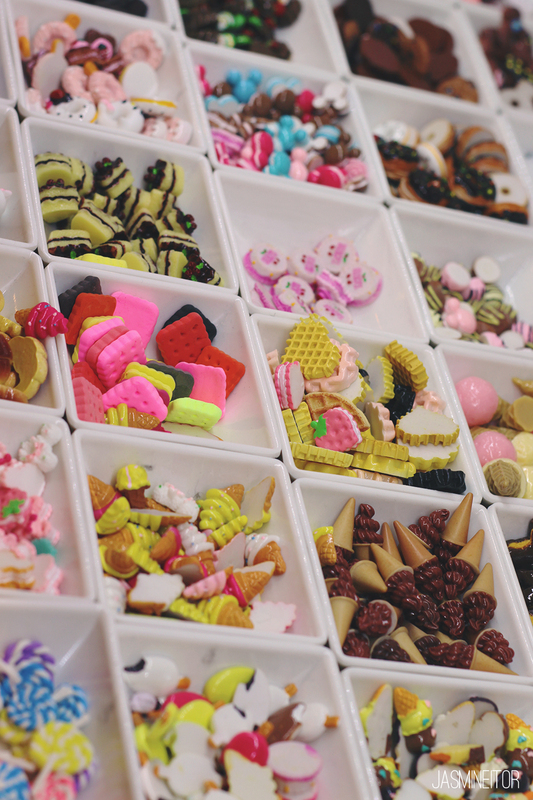 One you pick everything you want and put it on your tray, you bring it up to the counter where they calculate the prices and give you your glue. For two cases, all the accessories and whip, and a large iced Americano I paid around 26,000 won! Plain cases sold on the streets can net you anywhere from 10,000 ~ 35,000 (or more!) so the prices are very friendly here. I placed everything where I wanted it, took a picture for reference, and got to gluing! Voila! 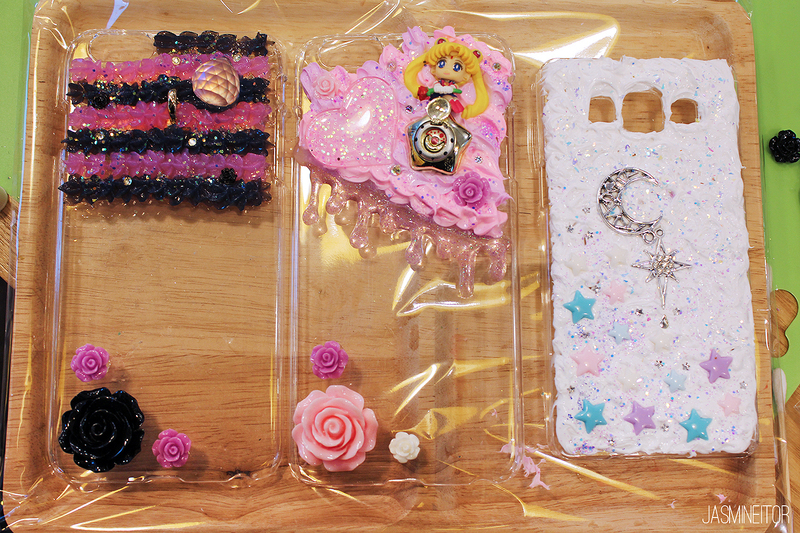 On the left are the two cases I made, and on the right is my friend’s case. I really like meshing the rose gold of my phone with the cases I buy, so I prefer a transparent case and thus designed them accordingly. 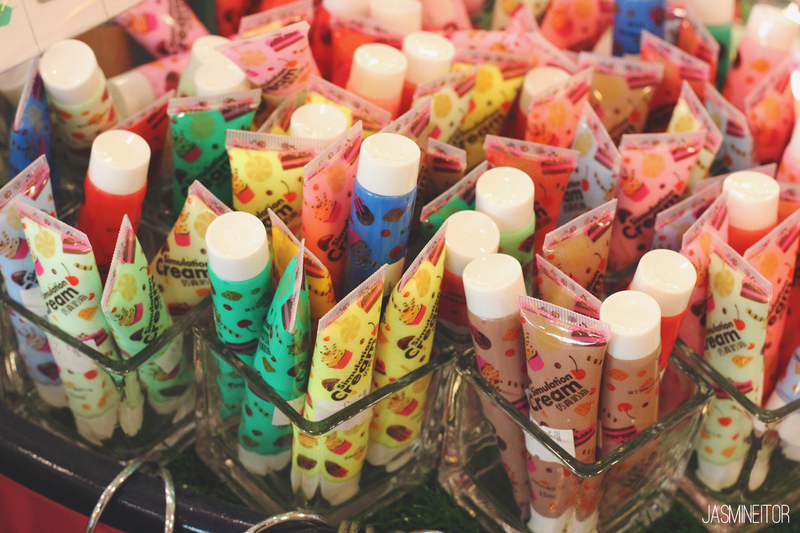 Once you’re finished decorating, you take your cases up to the counter where they seal them(?) and give them to you taped in a box so they don’t move around or get ruined as you bring them home. The transparent jelly whip is recommended to dry for 3 days before use, and the regular whip was recommended to leave for 2. I left both for 3 days just in case! 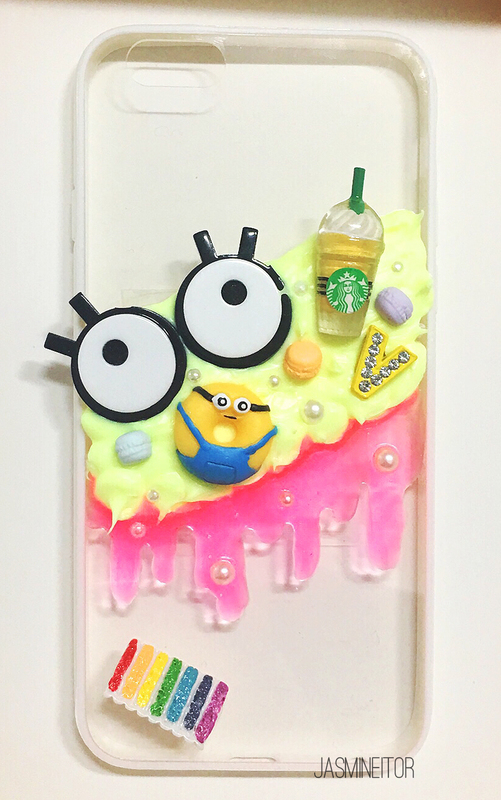 I also made this fun neon case another time that I went as a gift for my young step-sister! The only issue I’ve had with this one is that the liquid I used for the drips dried very flat and is slightly lifting now 🙁 . This is my case for special occasions <3 . As I mentioned above, the whip on this one experienced some shrinking as it dried, so it’s not as full as I’d like it. However it doesn’t bother me as the key chain I put together, along with the crystal meant to represent Sailor Moon’s Silver Crystal, are the statement pieces anyway! I really wish I could have gone back and made 1000 more cases, as I’d love to have made a vampiric/bat-related one for daily use, along with a Cardcaptor Sakura one! 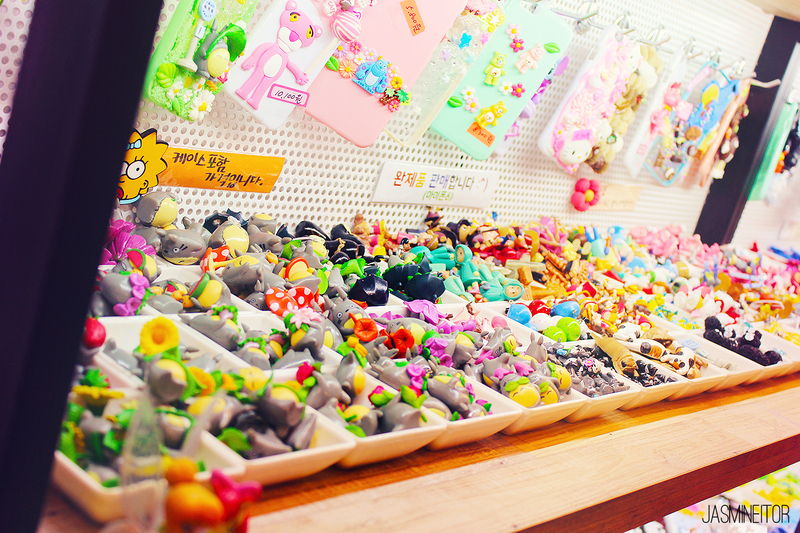 The pom-pom ones were also super cute…so many options, and such great prices! 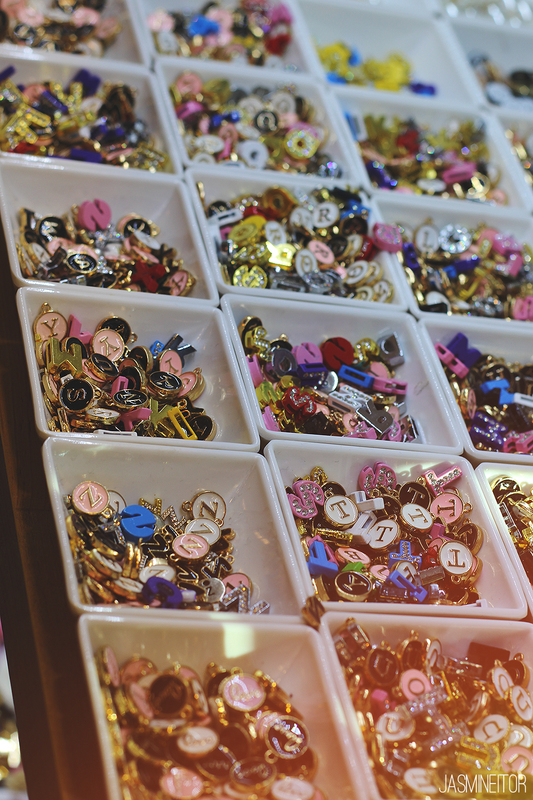 These also make great personalized gift items (ie. 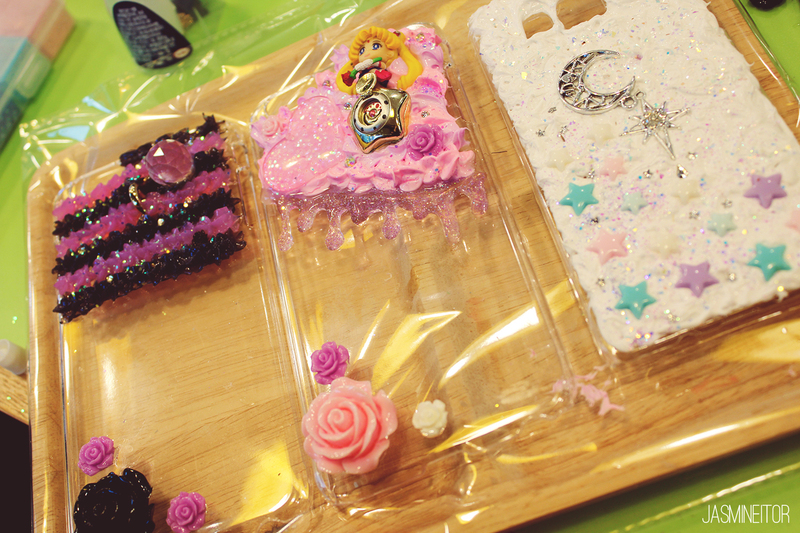 the case I made for my step sister was just 6,000 KRW total). 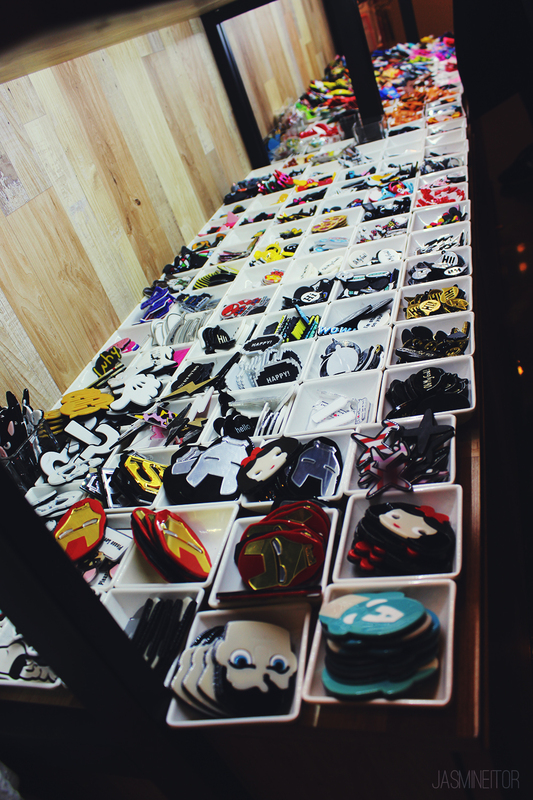 If you live in Korea you can actually order the pieces online here if you don’t feel like hanging out at the cafe since it is pretty small and tends to get crowded. The address is 43 Wausan-ro 23 Street, Mapo-gu, Seoul (서울 마포구 와우산로23길 43) – near Hongik University Station Exit 9 – and they are open from 12:00pm – 9:00pm! I wish I could go!!!! That’s one of the cafe I wish existed everywhere!